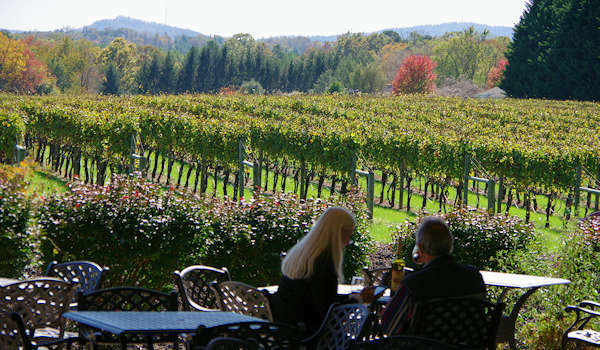 For a romantic afternoon outing, visit three wineries in the Hendersonville area - about 25 miles south of downtown Asheville. 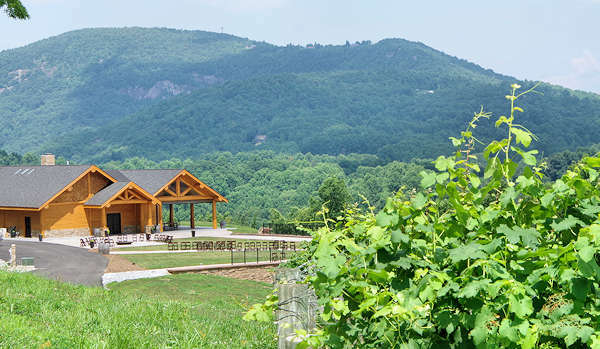 Sample dozens of award-winning wines while enjoying beautiful settings with vineyard and Blue Ridge Mountains views - all in a scenic 10-mile country drive. Saint Paul Mountain Vineyards (588 Chestnut Gap Rd, Hendersonville) is about eight miles from Point Lookout - not far from I-26. The Ward family warmly welcomes you to their farmland that has been in their family for nine generations. Today, they grow 14 variety of grapes at 2,300 and 3,000 feet elevation. Sample reds, whites and dessert wines - including Riesling blends, red cabernets and chardonnays. 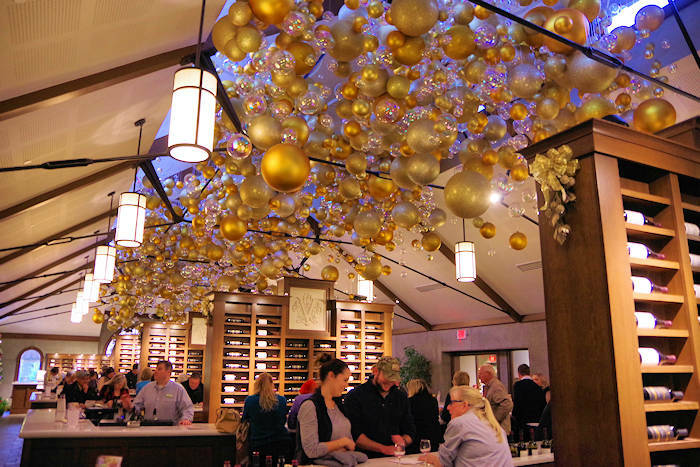 Their tasting room has both indoor and outdoor seating with vineyard views. Bike or walk through the vineyards. Open Mon-Thurs 11-6, Fri-Sat 11-7 and Sun 12-6 PM. They are in the middle of apple county - also visit their nearby Appalachian Ridge Artisan Ciders (read more). Burntshirt Vineyards (2695 Sugarloaf Road, Hendersonville) is two miles from St. Paul. Voted "North Carolina Winery of the Year", sip and savor their 19 wines in their farmhouse Tasting Room and patio with gorgeous views over their vineyard. Find many places for picnics in the gardens. They can easily accommodate larger groups. Award winning wines include include sweet Sunset Sippin, Rose, apple wine, Chardonnay, Riesling, Merlot, Cabernet France and Cabernet Sauvignon. Take a free winery production tour at 2 PM every day. They are dog friendly! Open Sunday-Thursday 12-6 PM and Friday-Saturday 12-7 PM. Tastings are $10/person for five wines and souvenir wine glass. Sample hard ciders from the locally grown apples! 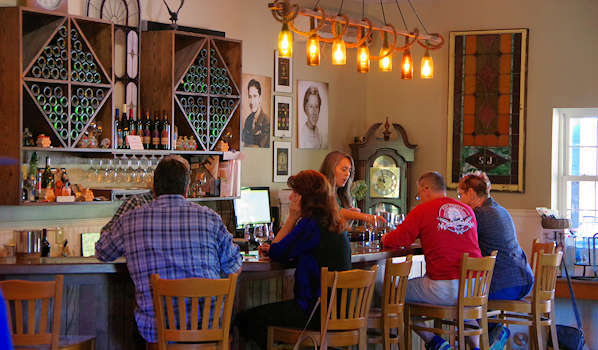 See our Hendersonville Cidery Guide to find nearby places to visit during your winery tour. In late summer and fall, be sure to stop at area orchards to take some of of their famous apples. 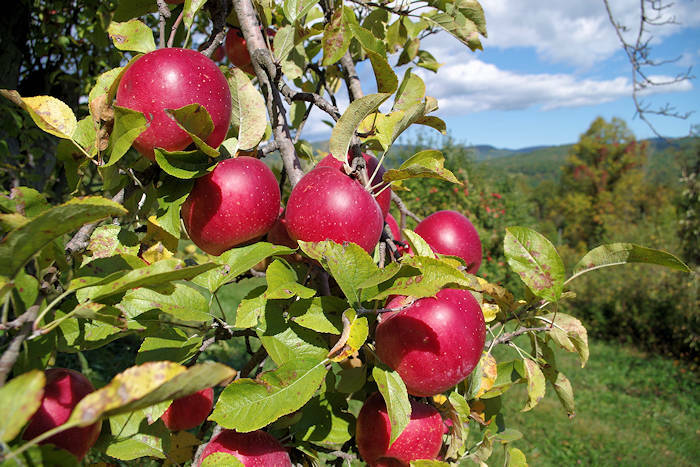 See our Apple Orchard Guide. Go to our Hendersonville Insider's Guide for many more things to do in the area.